Australian family-owned winery De Bortoli Wines has won top honours for the unique, world-first packaging on its new Rosé Rosé at the International Wine (IWSC) and Spirit Competition in London. The wine business has won the inaugural Winery Innovator of the Year trophy at the IWSC for being an innovative driver in the global wine industry from vineyard-to-glass. In particular, the winery was recognised for continuing to be at the forefront of Australia’s pale dry Rosé movement, and for the unique packaging on its new Rosé Rosé, which features a colour side-embossed screw cap that the wine maker says is the first closure decoration of its kind in the world. The technology combined several elements, resulting in just the rose being embossed, De Bortoli Wines said. The label and the rose on the cap are aligned during the bottling process, with the aim of presenting the brand personality across the entire bottle. Kim Wilson, Managing Director of North South Wines Ltd, De Bortoli Wines’ distributor for the UK market accepted the award on behalf of the company, congratulating the business on its leadership in winemaking innovation. 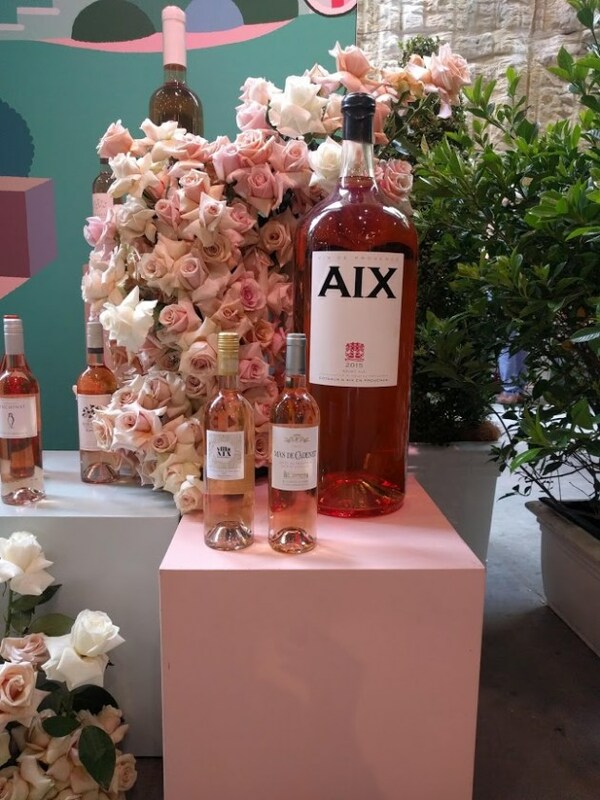 Vins de Provence (Wines of Provence) has also tapped into the popularity of the pink tipple with a showcase of more than 30 rosé wines - including Australia's largest bottle - at The Taste Collective food festival at The Cutaway in Sydney’s Barangaroo precinct over four days last week. Vins de Provence wine experts, producers and distributors from the Provence region as well as Australian sommeliers were on hand to answer questions, offer tastings, sell wine, and discuss the region, its wines, and what makes them special. The event saw the opening of a massive 15-litre bottle of rosé (pictured). The Vins de Provence festival pop-up area also featured a rosé lounge and bar and hosted a rosé masterclass. France’s Provence wine-producing region is renowned for its distinctly light-coloured, often-dry rosés, which have seen a resurgence in popularity in Australia in recent years. In fact, Provence wine exports to Australia have seen double-digit increases every year since 2011. The Conseil Interprofessionnel des Vins de Provence (CIVP) oversaw the Vin de Provence event. The CIVP is an organisation of winemakers and wine merchants from three Provence wine appellations: the Côtes de Provence, Coteaux d'Aix-en-Provence, and Coteaux Varois en Provence. The council aims to reinforce the strength of France’s wine industry, increase its members’ avenues of action and financial resources, and promote the special features of each appellation.